Wishing you a day full of joyous moments! Today I am sharing a DIY project with you! Two of my very dear friends, Ann and Beth recently held a birthday tea celebration for me! 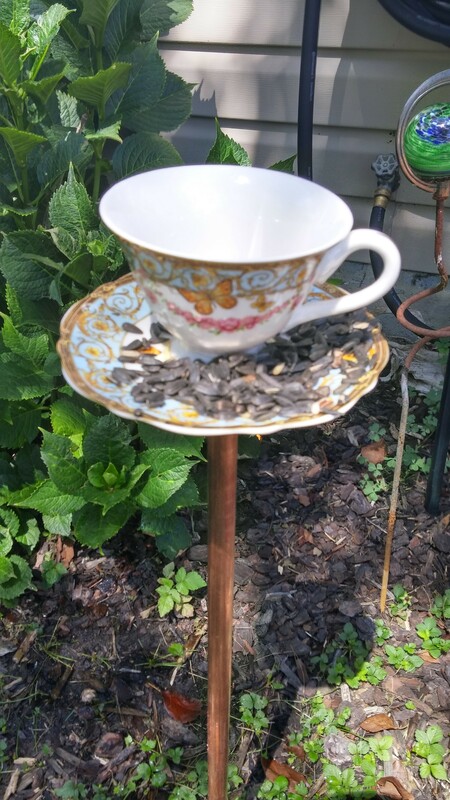 Ann hosted the party and in her garden was a tea cup bird feeder! I hadn’t seen these before and loved it so much, I decided to make one! It was pretty simple to make. 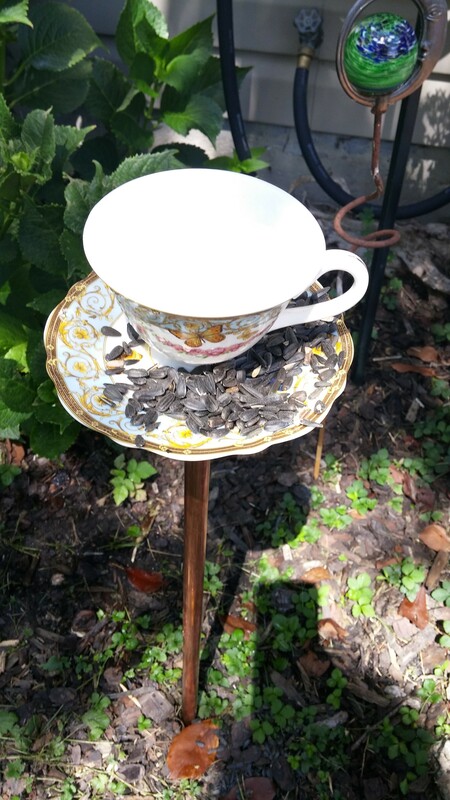 I don’t recommend you use your grandmother’s fine china for this project but if you have an old tea cup (or a new one) you don’t mind using, use that OR Home Goods is a great place to find an inexpensive tea cup and saucer! ENJOY! 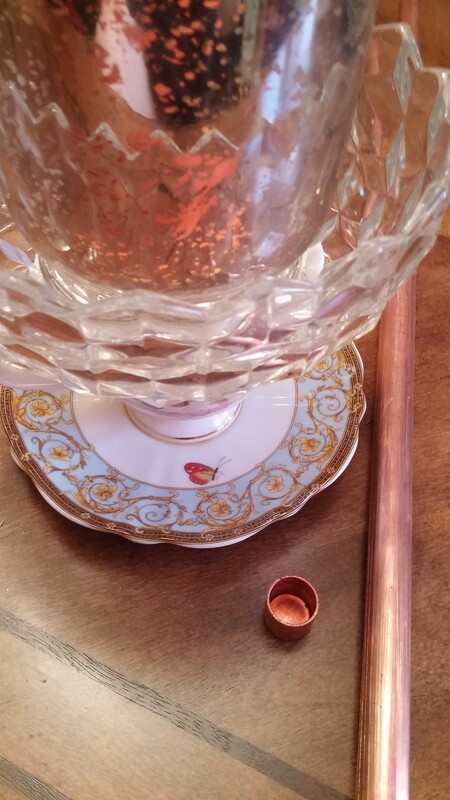 you can use a pretty tea spoon and glue to the side of the saucer, Ann’s had a spoon, I tried the spoon but did not like it with the design of my cup. 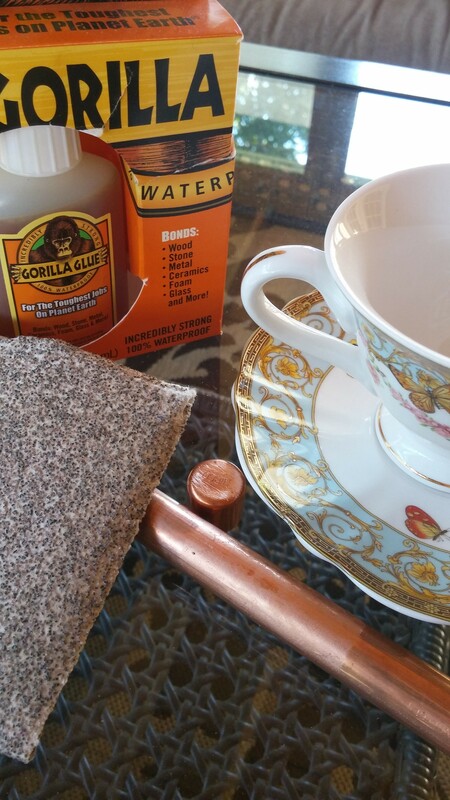 Use the sand paper on the copper tubing the top of the copper cap, the bottom of the tea cup and the middle of the saucer, each place you will be using the Gorilla Glue. Then simply “glue” it all together using the instructions on the glue bottle! 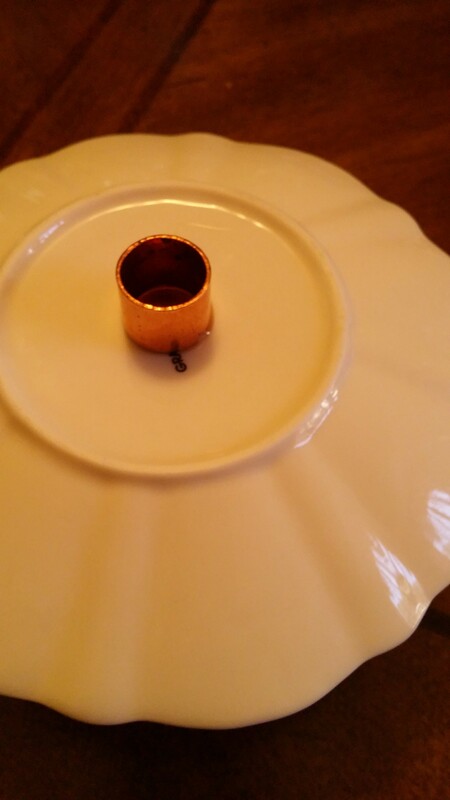 I placed something heavy on top of the tea cup while it dried. Not too heavy, you don’t want to break your tea cup! Allow each piece to dry completely before placing it in your garden! 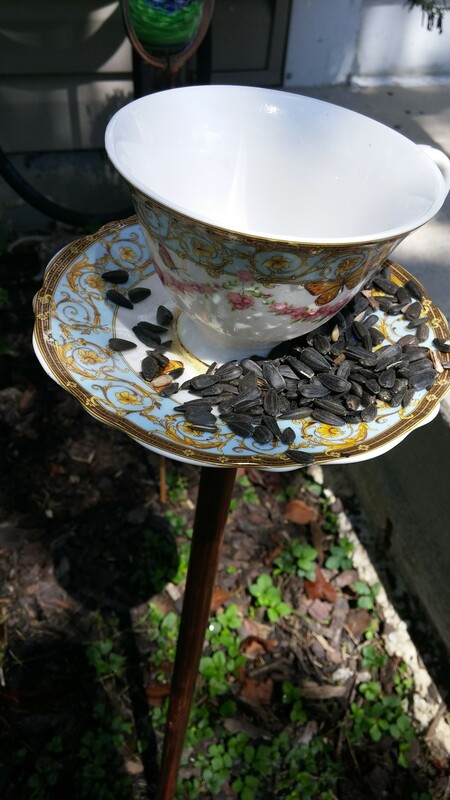 Add water to the cup and bird seed on the saucer and watch your little bird friends come by for a visit! ENJOY!